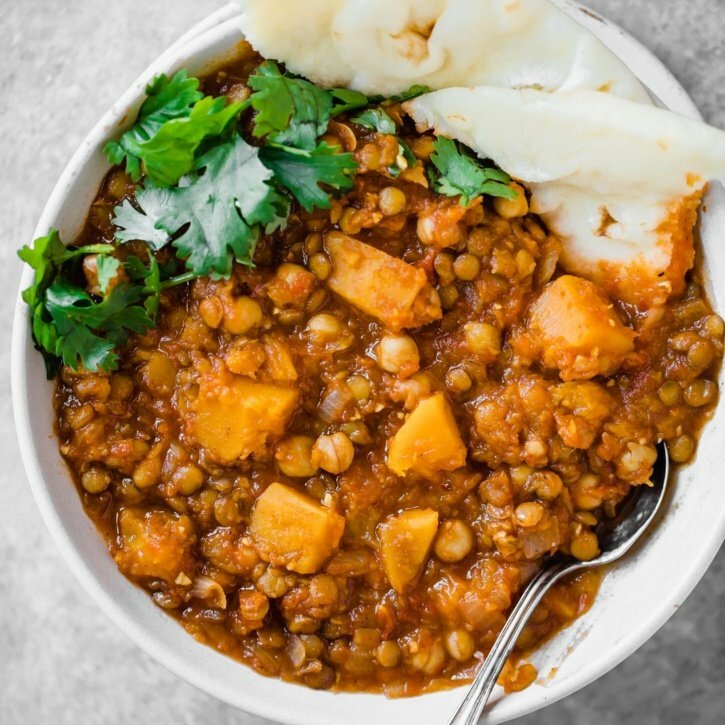 A healthy Moroccan stew with cozy spices, butternut squash, chickpeas, and lentils! 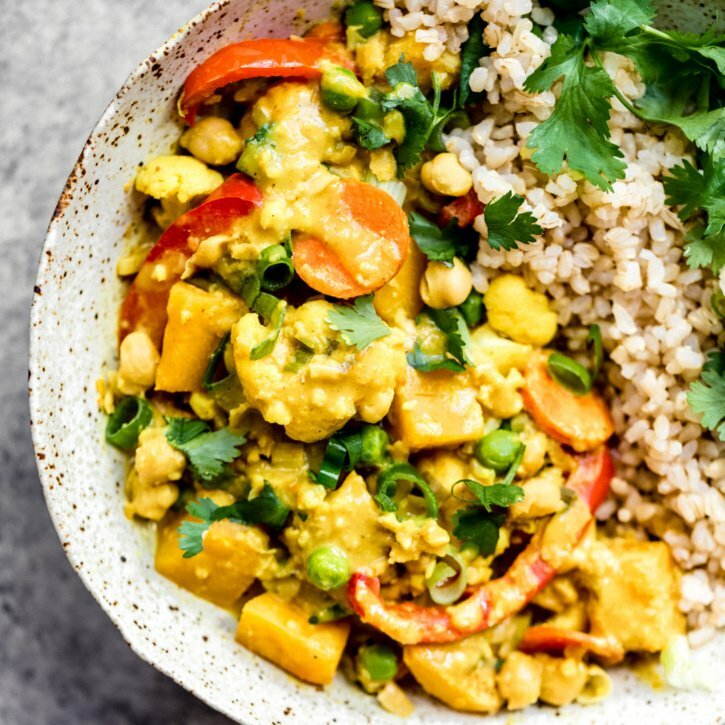 You’ll love this protein and fiber packed meal! 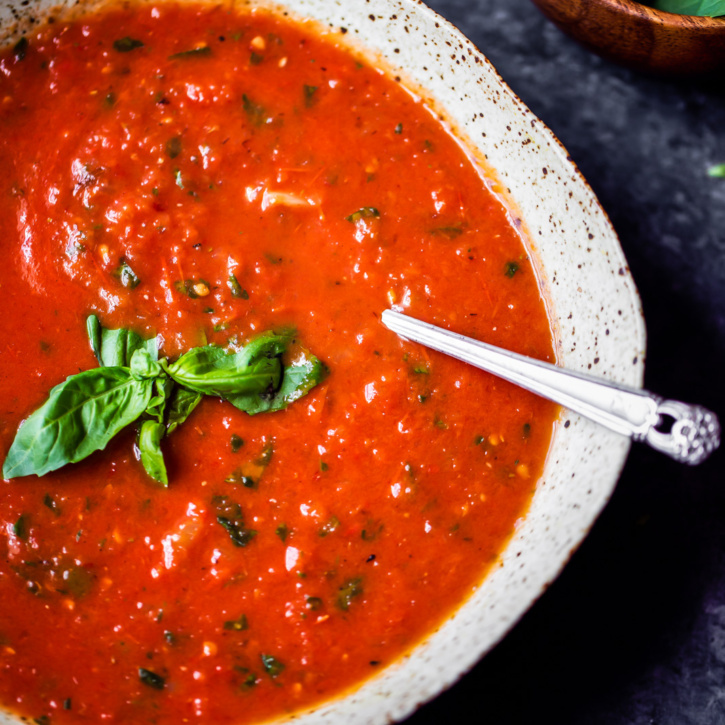 Homemade roasted tomato basil soup with fresh tomatoes, garlic, olive oil and caramelized onions. Delicious, flavorful and the best way to use up garden tomatoes! You’ll never want to go back to the canned stuff after you try this. 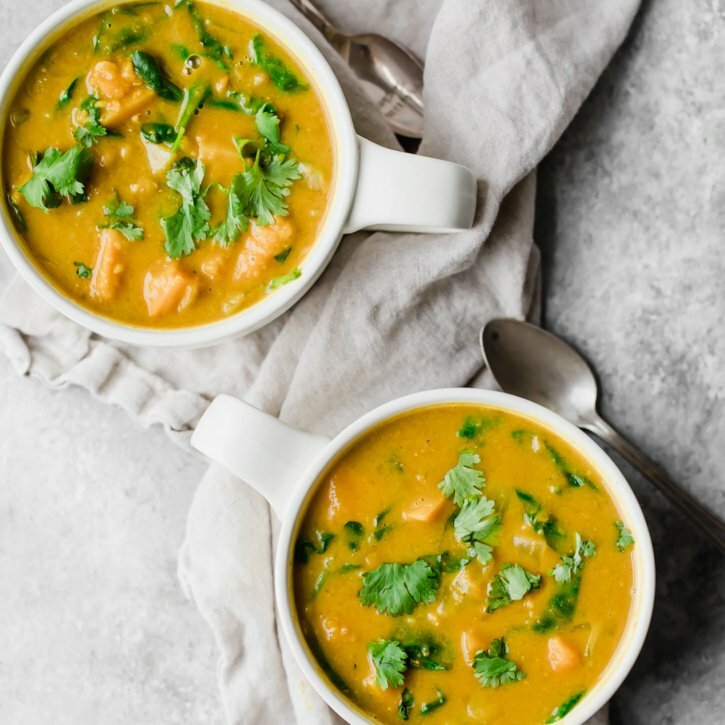 Healing Thai Butternut Squash Lentil Soup that’s vegan, protein-packed, and incredibly nourishing. 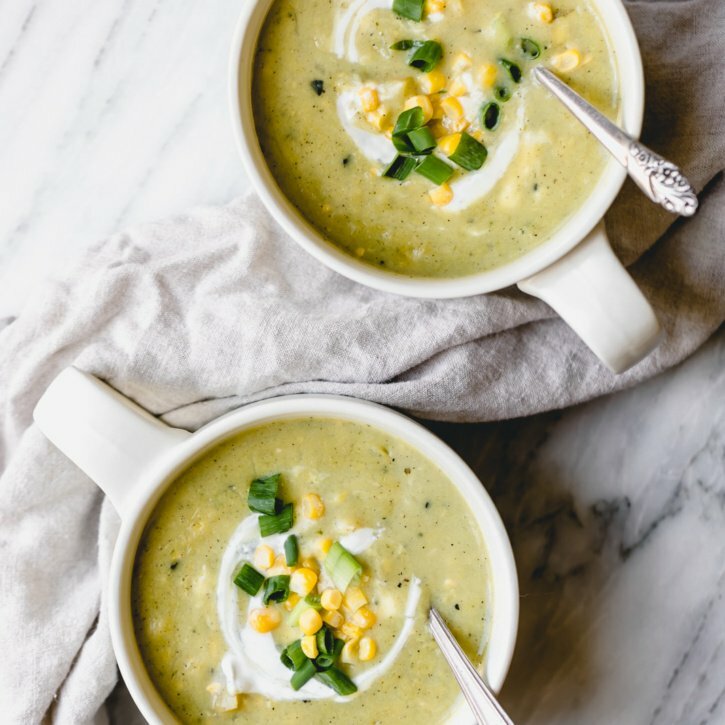 You’re going to love this creamy, flavorful soup — packed with anti-inflammatory ingredients! 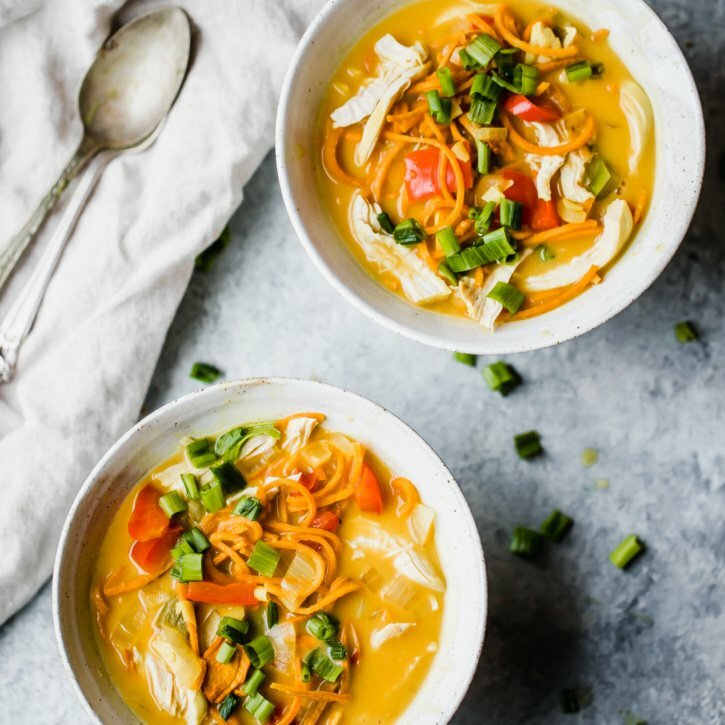 Coconut Chicken Sweet Potato Noodle Soup with creamy coconut flavor and fun spiralized sweet potato noodles! 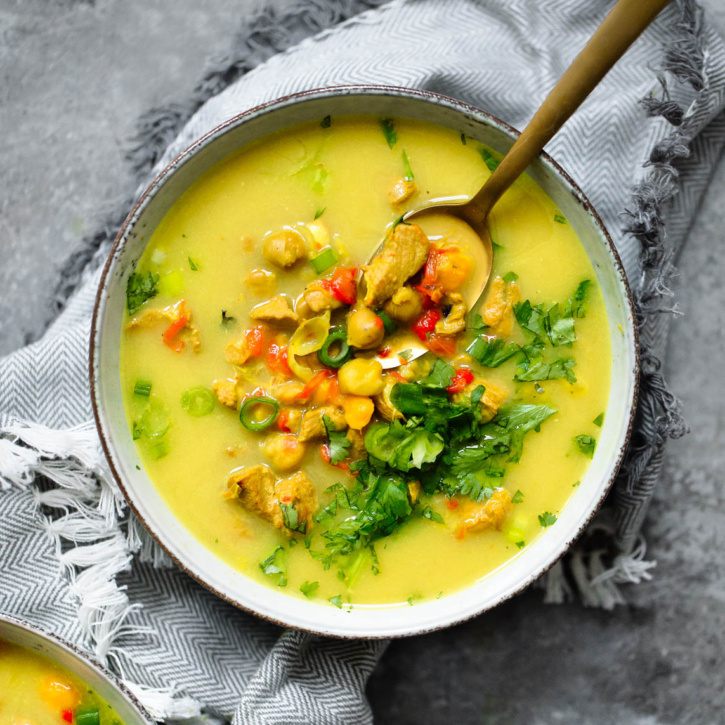 A delicious, global twist on your favorite chicken noodle soup made into a healthy paleo version. 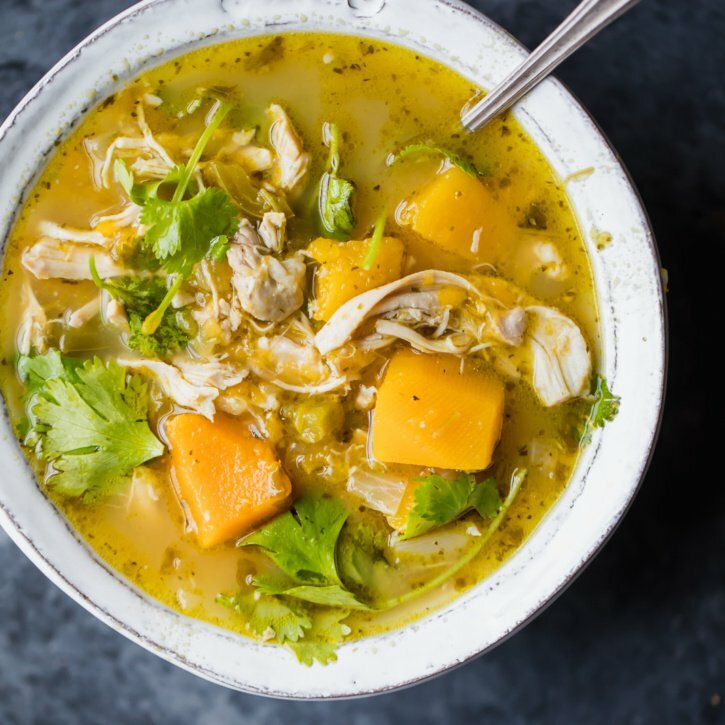 Flavorful, protein-packed butternut squash green chile chicken soup. 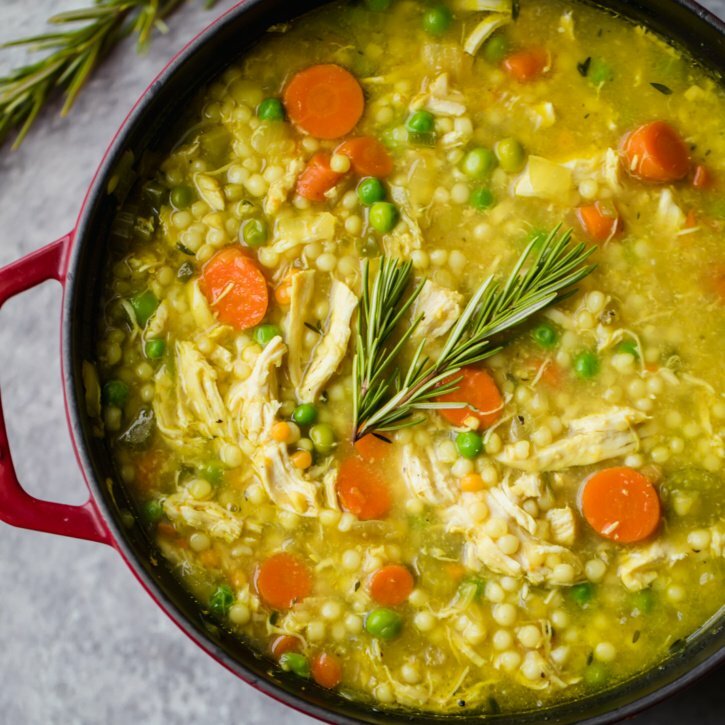 This comforting, cozy dish comes together in one pot and is perfect for a cold night. Happy New Year! Update on my end: I’m currently in Hawaii still celebrating our honeymoon ❤🌸 it’s absolutely amazing here and I never, ever want to leave. For those of you in colder weather (like back home in Chicago!) I’ve got a beautiful soup for you that was inspired by my Grandmother Gloria. Hello and happy Round Up Sunday! I hope your weekend has been filled with relaxation, time with loved ones, and hopefully some therapeutic baking (aka all of the best things). As you probably know by now, we’re kicking off Cookie Week here on the blog starting tomorrow and I couldn’t be more excited. 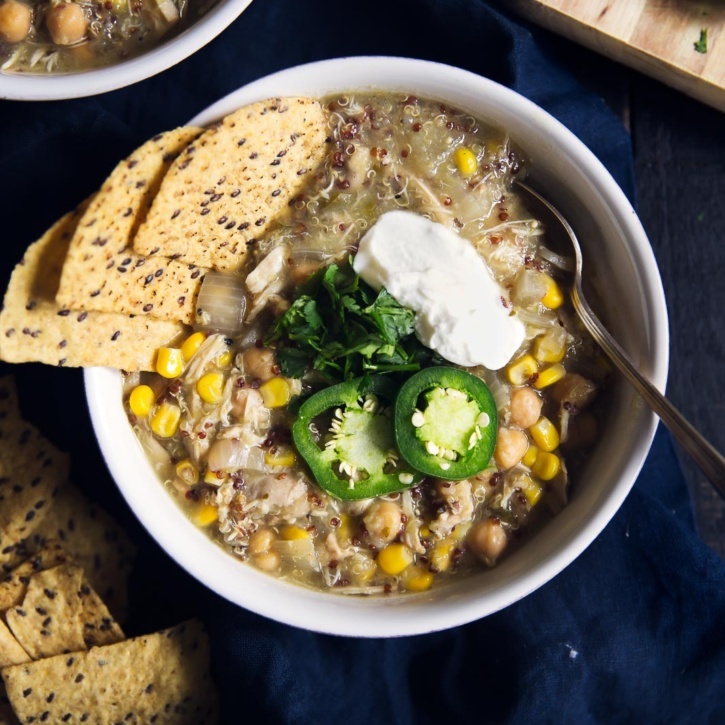 Before we do a deep dive into the wonderful world of cookies, I rounded up 24 comforting soup & stew recipes for you to balance out those cookie treats all winter long. We’re back with another Round Up Sunday! I hope you guys have had an amazing weekend, and that this roundup is a day-brightener for any “Sunday Scaries.” I’ve found that the best way to cure the scaries are to get a workout in – even if it’s just a nice walk outside – practice some self-care (hello relaxing bath + calming playlist), and of course, make delicious food like these healthy slow cooker recipes.